Sean Szymkowski March 31, 2019 Comment Now! Roborace has plans to take humans out of the cockpit in a futuristic machine-versus-machine race series, but before that happens, it's putting its Robocars in the hands of people—quite literally. 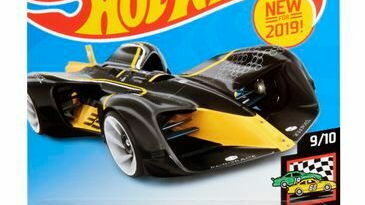 That's because the latest Robocar is a 1:64 scale model in the form of a Hot Wheels toy. 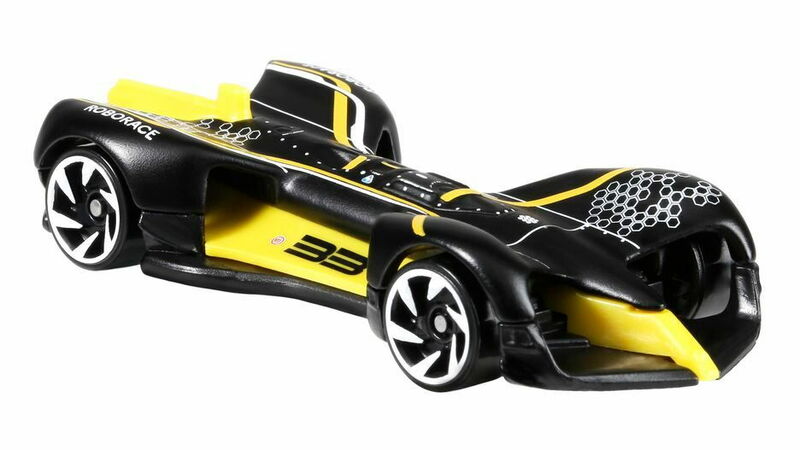 Hot Wheels and Roborace announced the new toy car on Tuesday, and it's an exact depiction of the Robocar self-driving electric racer. 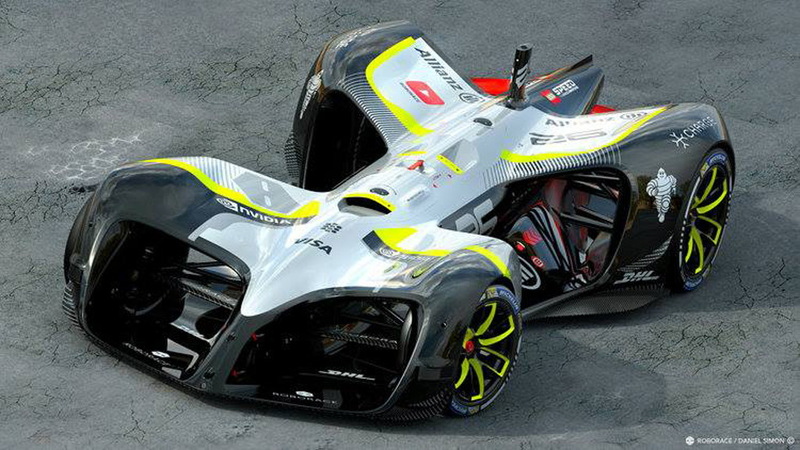 The Robocar is still in development, with Roborace working with its DevBot prototype to hone the self-driving systems. 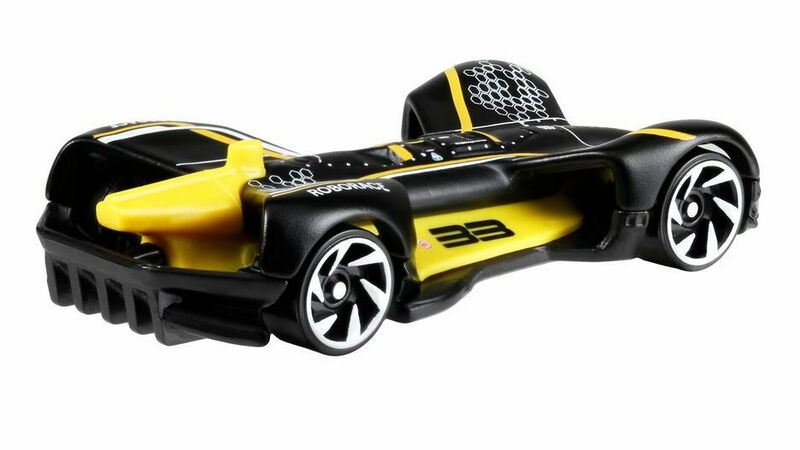 The Robocar makes for a pretty great Hot Wheels toy and doesn't need a lot of tweaking to look the part. There's no cockpit, since the car drives itself, and the wild styling complete with wide wheel arches and a pointed nose look like Hot Wheels designers themselves could have dreamt up. While the real Robocar is electric and self-driving, the Hot Wheels interpretation will be as fast as the hand that pushes it along various driving surfaces. Things may still change for Robocar in the years to come. The company said the first true season of the series will take place in 2021. Up until then, the car may go through some design changes. 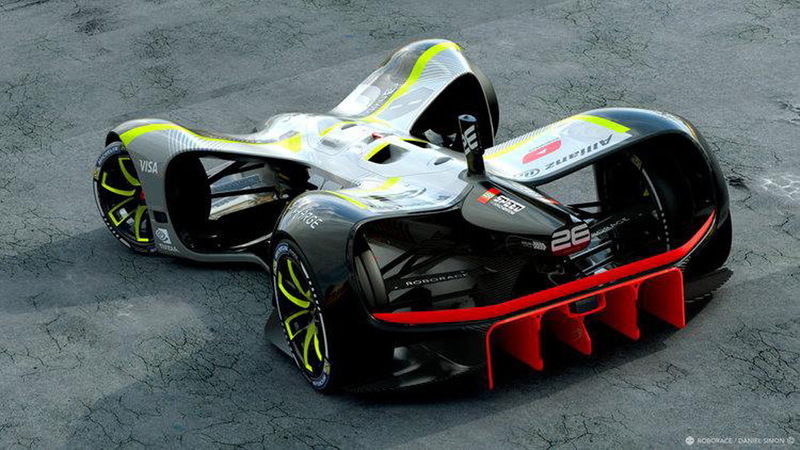 For now, Roborace will support some Formula E championship events with DevBot 2.0 protoypes. The cars house human drivers, which will race for the first half of an event, and the cars will drive themselves for the second half. Look for the Roborace Hot Wheels toy anywhere everyone's favorite toy car is sold.